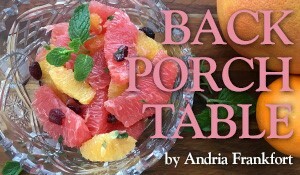 Andria Frankfort says as soon as the weather warms during the spring, this is one of the first dishes she makes. It's easy enough for a weeknight but tastes like it took a lot of work. 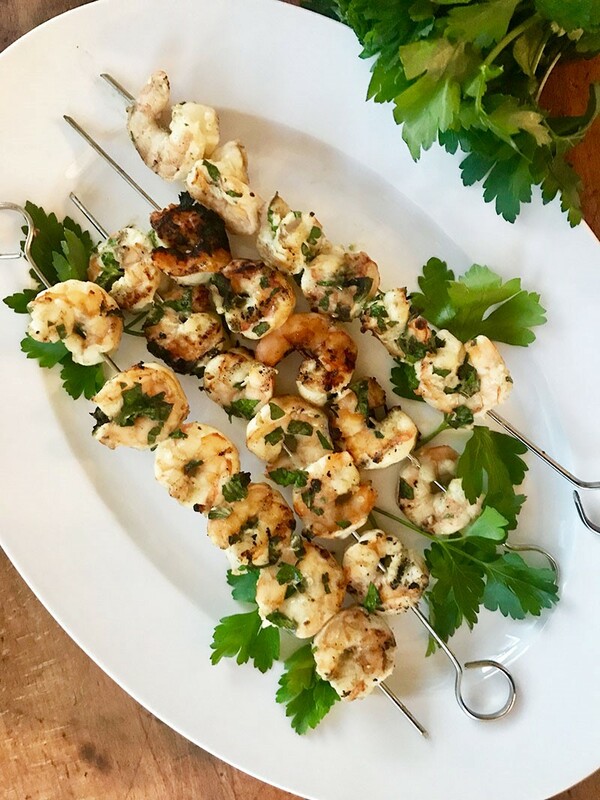 This Herb Grilled Shrimp is a variation of Ina Garten’s recipe in Barefoot Contessa Parties and is easy enough for a weeknight but tastes like you really put in some work. Combine all the ingredients through the lemon juice in a medium bowl. Add the shrimp and toss to combine. Cover with plastic wrap and refrigerate, allowing the shrimp to marinate for at least one hour. Prepare a grill and brush the grill rack with olive oil so that the shrimp do not stick. Skewer the shrimp. If you are using metal skewers, spray them with nonstick spray, and if you are using wooden sticks, soak them in water for 20 – 30 minutes prior to grilling. Grill the shrimp for about seven minutes on each side; they will turn pink when done.